The Physiotherapy in Guildford we offer here at PACE Therapies is fantastic for a wide range of people. If you’ve picked up a sports injury, suffering from back pain or just feeling some discomfort, we can help you get back to your routine and sporting activities. Physiotherapists are experts in developing and maintaining peoples ability to move and function throughout their lives. With an advanced understanding of how the body moves, and what keeps it from moving as it should, they promote wellness, mobility and independence. The wide skills Physios develop over many years help to treat the underlying causes of pain and limitations in movement and function. Many varied treatment approaches are used to help individuals regain their mobility and maximise their potential. Physiotherapists promote healthy lifestyles and exercise, at PACE Therapies we treat each patient as an individual and thoroughly assess them to identify their needs. Not only can a Physio help with injuries, having regular Physiotherapy is also a great injury prevention. A Physiotherapist can help you maximise your strengths, eliminate bad habits like poor posture, and put minimal strain on weaker areas of your body to help you enjoy a more full and healthy life. Physiotherapists don’t just solve and diagnose problems, but they are there to help prevent them from arising in the first place. By combining their evidence-based knowledge and skills they identify each person’s individual needs associated with all the different systems of the body. Our Physiotherapy sessions are backed up by email support and you are welcome to book a free 15-minute appointment anytime to make sure you are happy with your rehab program of treatment. Physiotherapy is a protected profession that is regulated by law. Sam is qualified to diagnose and treat you on the basis of his diagnosis. Sam Bishop is the PACE Physiotherapist. Not after physiotherapy check out our Services Page. Physiotherapy has become one of the core factors within the world of sports. Physiotherapy centres like PACE Therapies have come to the rescue of athletes by not just focusing on treating their injuries, but being able to assess their biomechanical movements and performance to determine the origin of the injury and help prevent recurrence. By carefully monitoring an individual’s capacity which includes his or her flexibility, coordination, strength, and joint flexion throughout the Physiotherapy session, the therapist can formulate some useful training routines to assist in reducing any sport-related injuries like cramps, strains, sprains and torn ligaments. Flexibility is one other issue that determines an individuals functionality – how well the person is able to move in their day to day life, as well as through their sports. Virtually all sports activities require an element of flexibility. Flexibility is essential within the sporting world and Sports Physiotherapy can help enhance the flexibility of a person in order that he or she can perform to his or her optimum level. Without the correct degree of flexibility, an injury might happen. As we get older naturally our flexibility decreases, As time goes on this can impede our everyday lives. This could include things like running for the bus, playing with your children/grandchildren, enjoying hobbies like Golf and Tennis. Regular Physio can help increase your range of movement and maintain your flexibility so you can perform everyday functions with less pain and restriction. 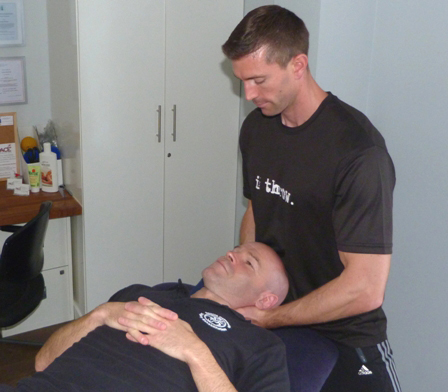 Regular Physio can also improve the ability of the body to deal with physical stress. Usually, our body has a unique and efficient method of repairing itself. Nonetheless, throughout excessive physical exertions (often occurring during sports training) some of the damage can just be too excessive for our bodies to cope. That is when Physiotherapy comes into play. The programs involved in Physiotherapy assist the body to enhance its durability. It can help strengthen the bones, muscles, joints and small ligaments to withstand the extra strain. All of this is important particularly for athletes who always absorb blows from direct contact sport like football, rugby and basketball. Also, sports which require a huge amount of power and plyometric ability can see huge benefits. By making the body more efficient, individuals can participate in their chosen sport with less worry about incurring an injury.